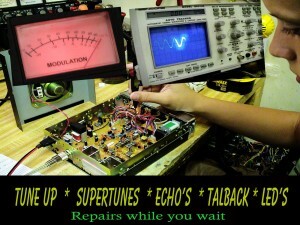 Whether your radio is broke, in need of a tune up or it just isn’t performing like it should let Circuit Master CB’s trained technicians bring it back to life and work stronger than ever. All of our repairs are backed by our “job done right” warranty for your peace of mind. 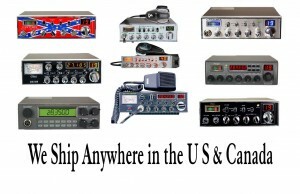 Maybe you would like to customize your radio by adding colored LED’s, chrome, echo, talkback or whatever you like. No job is to big or to small. Circuit Master CB offers in store “repairs while you wait” and our “mail in repair” service is second to none and boasts the fastest turn around time in the business. So if you need a repair done right, modifications or custom accessories, Circuit Master CB is your one stop shop for all your radio needs. Call or Email us today !